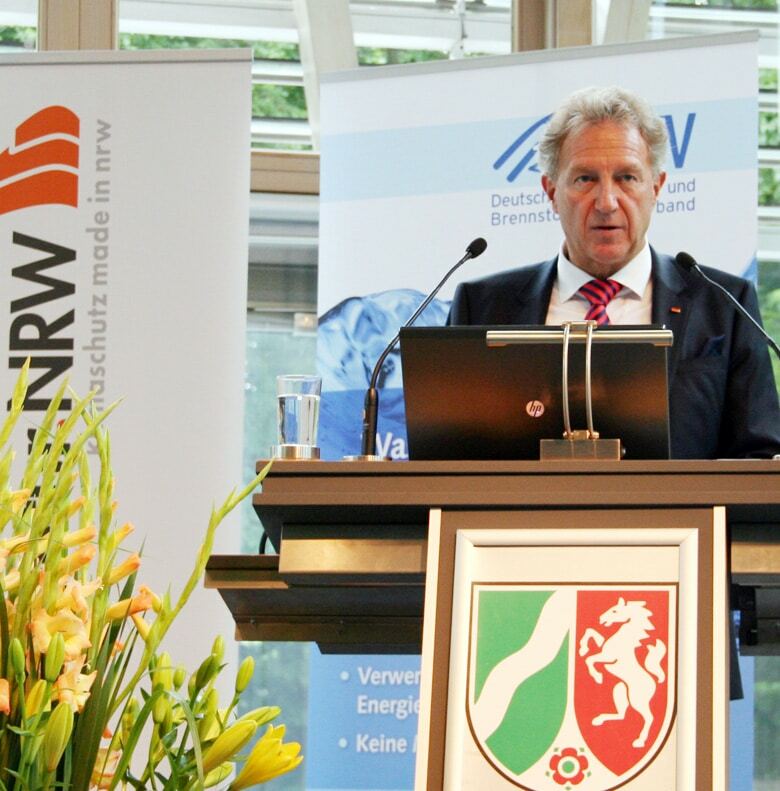 1996 was the founding year of the German Hydrogen Association (DWV). After now more than 20 years of actively contributing to the development of the German and European H2 and fuel cell industry and a change in name, the members of the German Hydrogen and Fuel Cell Association, their guests and some of the founders met in Berlin, Germany, on July 6, 2016, to celebrate the two-decade anniversary with representatives from politics and business. The anniversary celebration took place between the 7th H2Congress (see Seventh H2Congress in Berlin) and the meeting of the DWV membership assembly, which meant a busy week in Berlin for many of the event participants. Both the anniversary celebration and the annual assembly meeting were held in the Turbine Hall at Moabit in Berlin, Germany, which used to be owned by one of the association’s members, Vattenfall, and has become a popular event location. After the speeches, it was time for deputy chair Johannes Töpler to present the winners of this year’s DWV innovation prizes. The award for best master’s thesis went to Florian Becker, who in collaboration with the DLR had tested the use of PEM fuel cell systems in aviation at HAW Hamburg. His thesis described numerical models and experiments in supplying low-oxygen cathode emissions for tank and freight space inertization in airplanes. Martin Robinius received the innovation prize for best doctoral thesis. 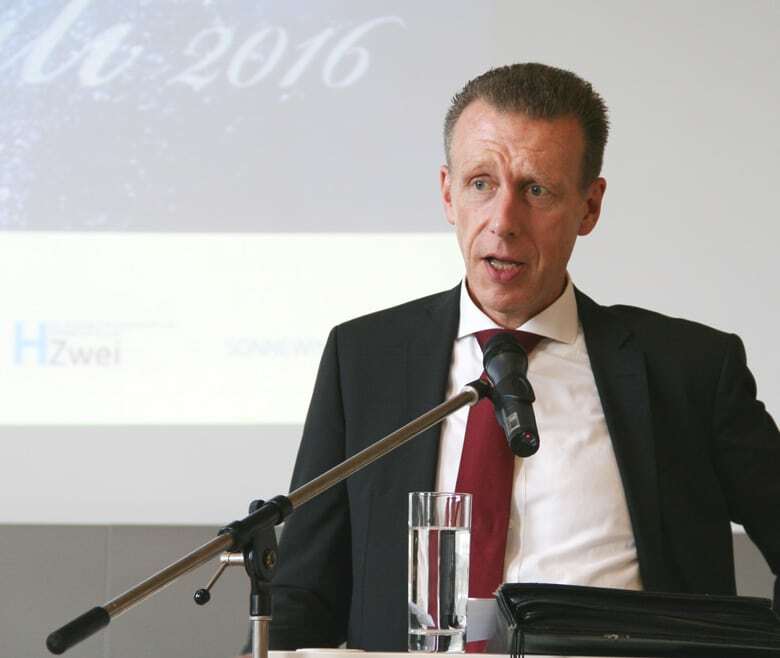 At the FZ Jülich, he had examined what a market design with a high share of renewable energies, including hydrogen, could look like in the transportation sector. His analysis showed that there was no money shortage for financing a hydrogen infrastructure, but rather that capital could be acquired through long-term sustainable business models. TH Köln‘s Fabian Rosenau, who was awarded the prize for best bachelor’s thesis, was not in attendance.